Storage capacity and product flow are always important to any operation, but constant pressure and temperature of CO2 at the inlet are what matter most in your application. The TOMCO Systems’ product line of CO2 Vaporizers are engineered to meet these needs while providing variety of options to meet your requirements. 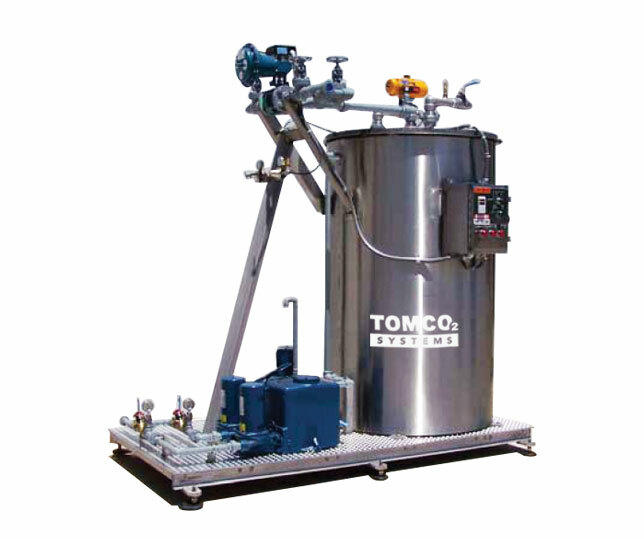 From industrial applications to bottling and food processing – including the external custom design to facilitate clean rooms and wash down areas facilitating the prevention of accumulation of debris or water – TOMCO has a vaporization engineered to your needs.